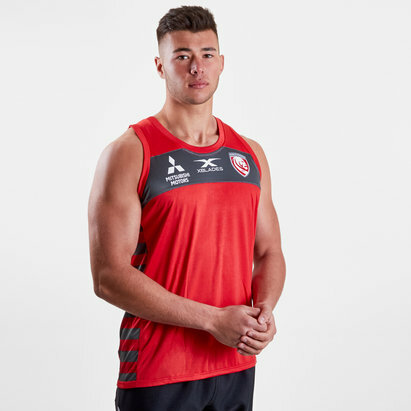 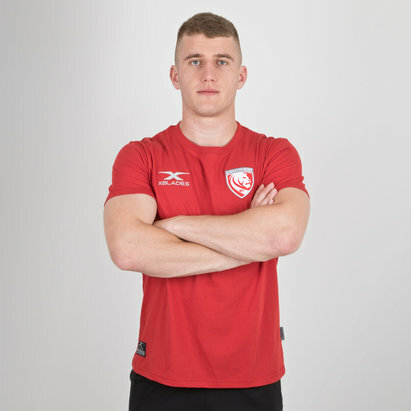 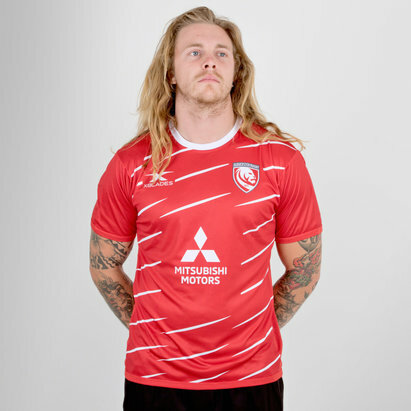 Display your loyalty to the club when in the gym or on the training field with the Gloucester 2018/19 Players Rugby Training Singlet from X Blades. 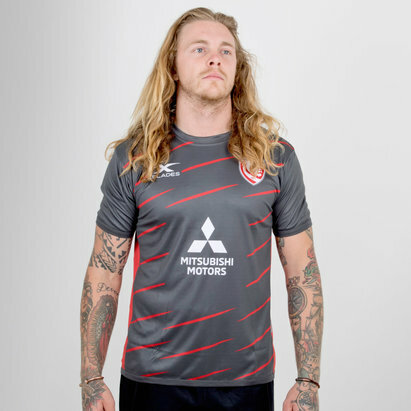 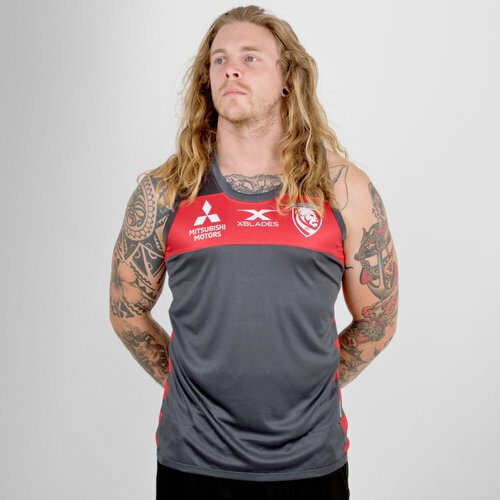 This official singlet of Gallagher Premiership’s team, Gloucester Rugby, comes in a grey and red design that represents the clubs traditional colours and features the brand new club badge printed upon the chest to prove to all the doubters where your loyalty lies. 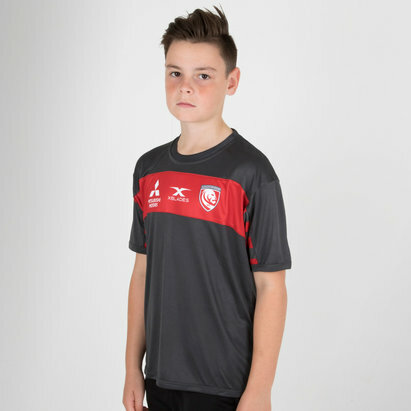 XPF Mesh Performance Knit keeps your body dry & cool. 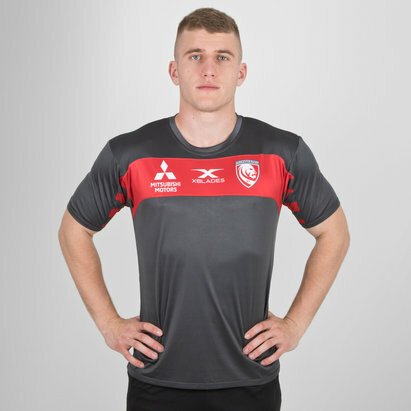 Comfortable size profile that won’t restrict movement. 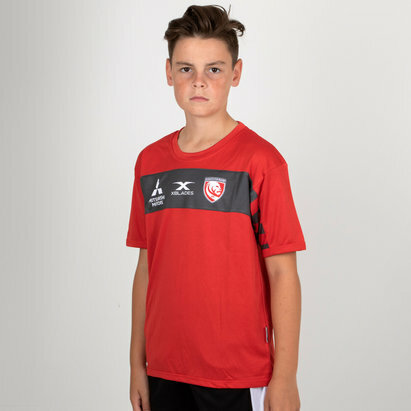 Stay warm when you work out and fine-tune your skills on the practice pitch without ever compromising your support for Gloucester Rugby with this Gloucester 2018/19 Players Rugby Training Singlet.